3. Julie (from Orchid Grey) won her choice of a necklace from Leviticus Jewelry and chose the bronze fern necklace. Congrats to these winners! There are more fabulous giveaways to come! 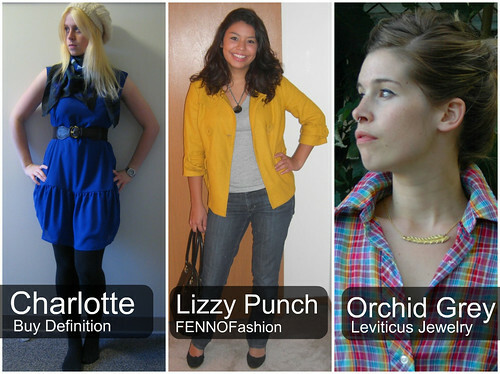 Photos ©Charlotte, Lizzy Punch, and Orchid Grey.